The elevator to success rarely ascends as fast as Patrick Topping’s meteoric rise. Four years on from his debut Ibiza Voice podcast, he’s still delivering the hits. There are plenty of DJs who make it through back scratching and greasing their way around the scene. And plenty who’ve fudged their way into having a moment with a one hit wonder. But to truly punch through to the top table and stay there, success for a high flying DJ comes down to very simple maths. 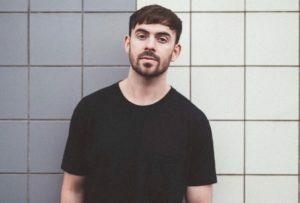 Patrick Topping has scored seven Beatport number ones. His latest, ‘Be Sharp Say Nowt’ is still at number five having held top spot for an impressive stint at the end of 2017. That’s quite a feat considering that most DJs usually become swamped after the first hit or two and rarely have time to step foot in the studio again. Whether you love or loathe his music, you can’t argue with a steady succession of hits like that, and his incredibly prolific success rate has taken him around the world for the past five years, taking in the world’s biggest clubs and events, and nestling him just under Jamie Jones on lineups as Hot Creations’ most popular act. When he put finger to CDJ to mix this podcast in 2013, he had only just embarked on this remarkable journey. But the blueprint for his tech house heavy sound was already cast in stone. Another sign of a DJ that’s here to stay, consistency. Combine that with an unrelenting ability to prove himself time and again, and we think it’s fair to say, Topping is probably going to be with us for quite some time yet.